Confederate has never been shy of making big claims. 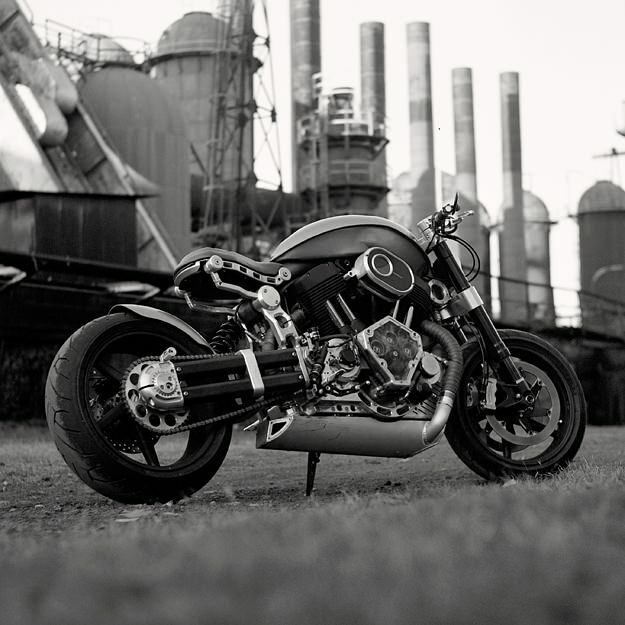 This is the Alabama company’s latest model, and it comes with a mission statement: “With the X132 Hellcat, we set out to build the toughest motorcycle ever made”. 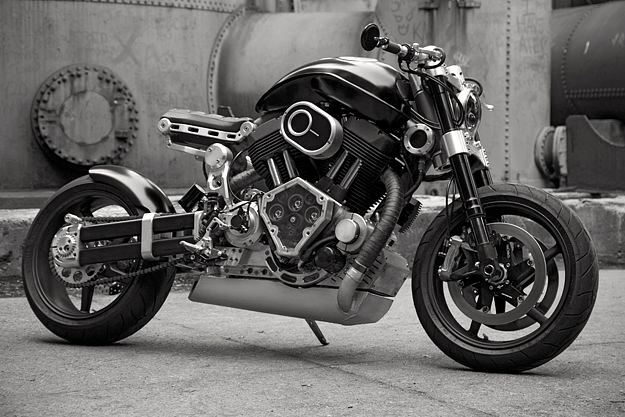 Confederate makes a big play of the Hellcat’s drag racing influence, citing a three-inch diameter steel backbone frame and a “patented drag race powertrain” incorporating a “vertical stack transmission” tied to the swingarm pivot. 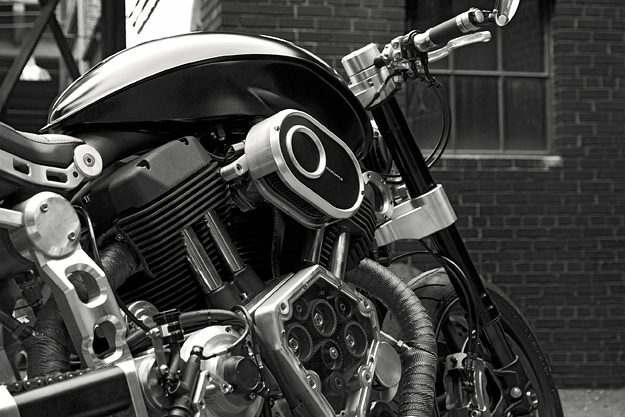 Owned by former lawyer H. Matthew Chambers, Confederate’s marketing is as heavy-duty as the bike, and champions “the American Way”. 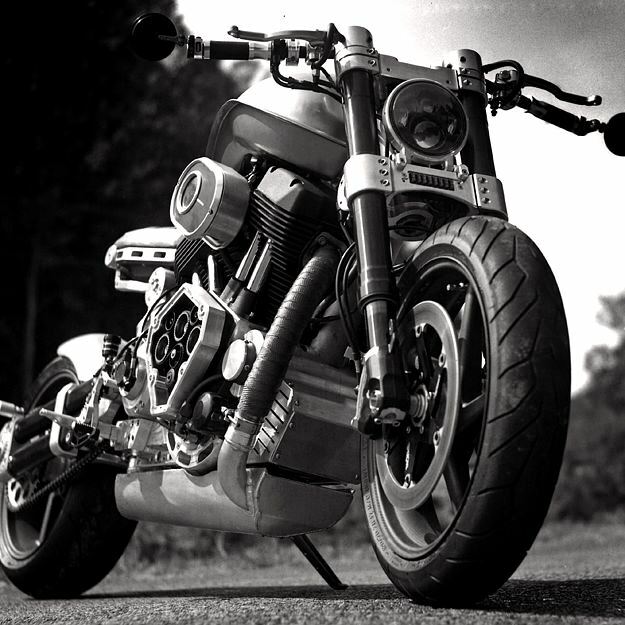 The Confederate Hellcat’s components include Marzocchi forks, Pirelli Supercorsa tires, a Beringer/Brembo brake system and Motogadget instrumentation. 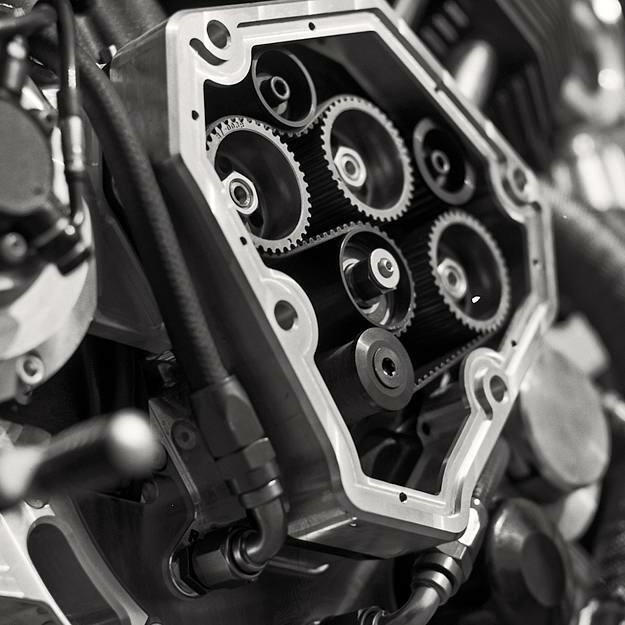 The 132 ci (2163 cc) V-twin motor, developed with the help of S&S, puts out 132 bhp—which might not sound like much given the capacity, but the Hellcat is relatively light at 500 lbs (226 kg). The cost is $45,000. A reasonable price, do you think?